A pool filter pump is the highest energy consumer in a home. This solution adds remote control plus monitoring of energy consumption to single and dual speed pumps, to realize significant cost savings. Expandability with chemical and water level sensors enhances maintainability and longevity of the pump. Our ZBMLC30 30A metering load controller affords remote control and energy monitoring of pool pumps. It connects to 220V single and dual-speed pumps directly without any other accessories. 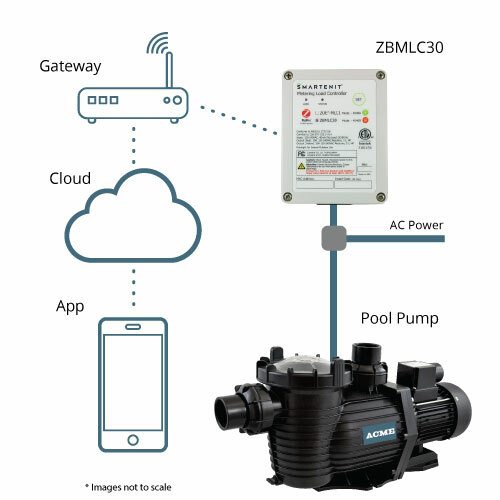 The Harmony G2 gateway provides the wireless interconnect to the ZBMLC30 and to any other wireless sensors and actuators around the pool such as chlorinators, light control, water temperature and water level. 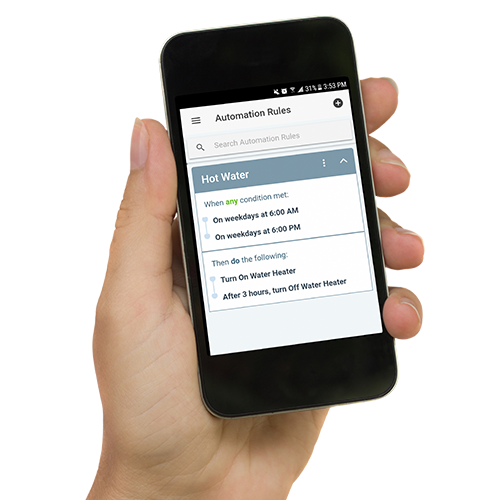 The gateway also provides connectivity to our cloud service, and to a mobile or web app for the user to remotely interact with the pool pump. With this setup, control and monitoring of the pool can be done either locally, or from anywhere with a web connection. 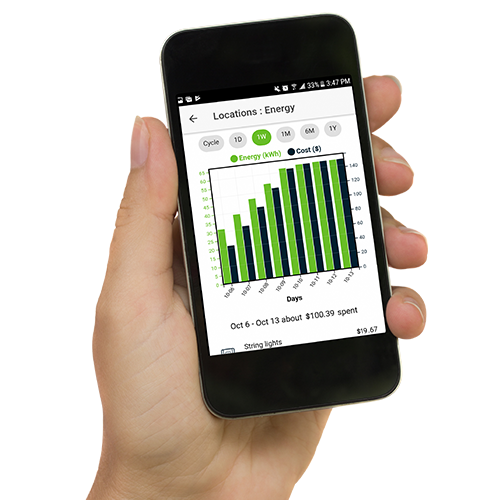 Energy use information can be combined with utility time-of-use rates to set operation during the most economical periods. A dual-speed pump can be scheduled to obtain close to the same savings benefits of a variable-speed pump at a much lower acquisition cost. Inputs from sensors can be used to determine filtration cycles or ensure everything is fine. Additional valves can be added to allow programmed automated scenes to turn on water features only when required for entertaining. A basic reference kit that includes our ZBMLC30, Harmony G2 gateway, and Smartenit App is available for your evaluation. Please contact us for more details. 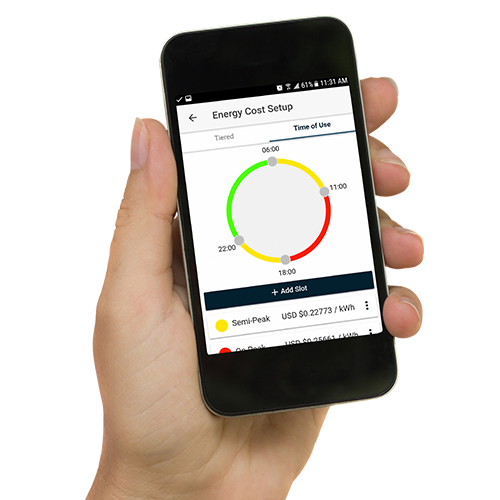 Offer Demand Response programs on frequency, consumption and TOU rates. 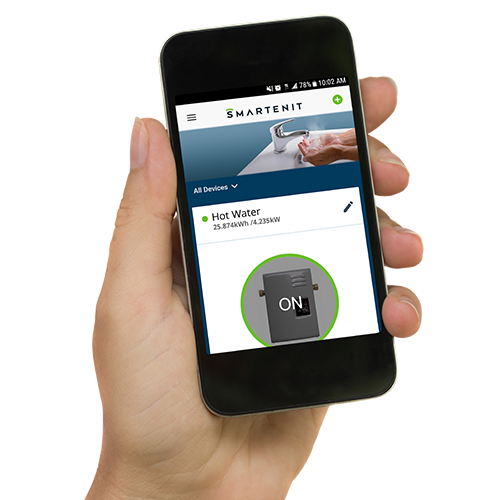 The Smartenit controller provides total insight into the water pump parameters including the state of the pump, energy consumption, voltage, current and frequency. Easily manage multiple clients with value added services. Automated notifications and cloud control allows checking, reprogramming and emergency shut down without a truck roll during off hours.